Your business doesn’t have to be among the ranks of Google or Facebook to get results with your business card. You also don’t need to spend a ton of money on design or style. For your business card to successfully generate leads and referrals, it should effectively capture your brand, message, and contact details. With so much at stake; however, it’s easy to be led astray. Here are the top seven things you should Not do when designing a business card – if you want to keep your business in the “win” column. Your recipient should never have to squint when reading the font on your business card. Don’t try to put too much on the card in the hopes of packing a powerful punch. A graphic that hogs space will leave you with too little precious room for getting the most important facts across. If recipients can’t make out your name, your company name, the address, phone number, or website, then you’ve wasted your money on this valuable communication tool. People simply won’t spend that much time trying to make out the information. Instead, they’ll give up and move onto another card that quickly gets the critical information across in an easy-to-understand way. If your business has a physical location, make sure the business card features the address. Having a brick and mortar building builds trust in consumers. So what should you do if you work from home or out of a coffee shop? Get a post office box, or use a trusted friend or colleague’s business address for mailing purposes. Without an address on your business card, you’ll make prospects uneasy about your reputation and credibility, so don’t be tempted to bypass this vital piece of information. Setting your business card apart from the competition by using a uniquely textured card is one way to differentiate. One thing to keep in mind, is that glossy cards prevent users from being able to do one important thing: writing on the card. While it’s great to have a card that feels different so recipients can quickly spot it, the practicality of the glossy card is lacking. When you meet someone at a networking or trade show event, after talking you may want to write down an additional information on the card. You’ll be hard pressed to do so with a black or glossy card. Taking out a separate piece of paper means the recipient has to keep track of another element, and is more likely to lose it. Consider having light colored cards, with a matte finish for trade show events. It’s bests to save the glossy finish for a flyer or postcard. Don’t waste the space on the back of your card by leaving it blank. This extra area gives you another opportunity to pass on useful information, facts, or images. Business people are routinely taking advantage of this added real estate, using it to display special offers or discounts. You can also use the space to include a QR code that directs recipients to a specialized landing page, or to your company website. This is especially useful if your business is primarily digital. With an offer on the back, you’ll entice people to hang onto the card longer, which means more opportunities to see your name, logo, and website. Sure, people need to see your contact information, but it shouldn’t be the show-stopper either. Don’t waste the opportunity to make an impression with an image alongside the text. The image can be your personal picture, which works if your business is real estate, for example, and you are the brand. Even if the recipient of the business card picks it up only once, it give them an opportunity to put a face to the name. But this strategy doesn’t work for every business. If your brand doesn’t center around one person, you can still include an image or logo. Just make sure it conveys what your business is about. What’s the most surefire way for your business card to flop? Just be like everyone else. If you want your business cards to drive your success, use this chance to stand out from the crowd. Be unique. Memorable. Interesting. Get noticed and be creative with the card. Consider how a custom business card can drive brand awareness. Do you sell cars? Make a business card that’s in the shape of a car. Location based? Include a map on the card. Are you an internet marketing expert or educational institution? Hand out custom business cards with a USB that includes more information about your product or services. This lesson applies to every marketing touch point you create, and it holds true for business cards too. This is just another way for your card to stand out from the crowd. Let’s say a consumer has 10 different business cards for area floral shops, but only your card focuses on how your services specifically benefits consumers. You’ll have a better chance that those consumers will choose your business. A Feature states that your shop carries 100 different kinds of flowers. A Benefit states that your shop can fill any order desired, the sky’s the limit. Do you see how that subtle difference meets a buyer’s needs? It’s great that you offer 100 kinds of flowers, but consumers need you to make the connection for them. If you have such a great selection, that means that consumers can find whatever they need at your place of business. Use your business card to “sell” the benefits consumers have from working with you. Your business card has to put in the work in order to get results. Don’t take the design, format and construction of the card lightly. Without focusing on important factors like the critical information to include, the type of paper, and an image, your card will flop. Meaning, it won’t have the impact on prospects that you need to drive traffic, increase awareness and encourage sales. Avoid these mistakes when designing business cards. You’ll turn what could have been a flop into a show-stopping marketing tool. I would like a run down on the pricing for the USB cards. Do you have a surfboard shaped one? Kendra, Thank you for your inquiry. Traditionally, we offer Business Cards in a Standard 2″ x 3.5″ Rectangle Shape. However we can make your card the shape of a Surfboard, or anything else you desire. 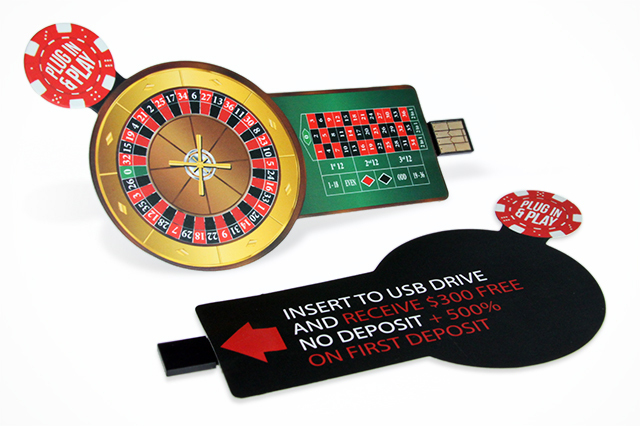 You may contact us directly via sales@customusb.com, or fill out a Quote Request from on our site.